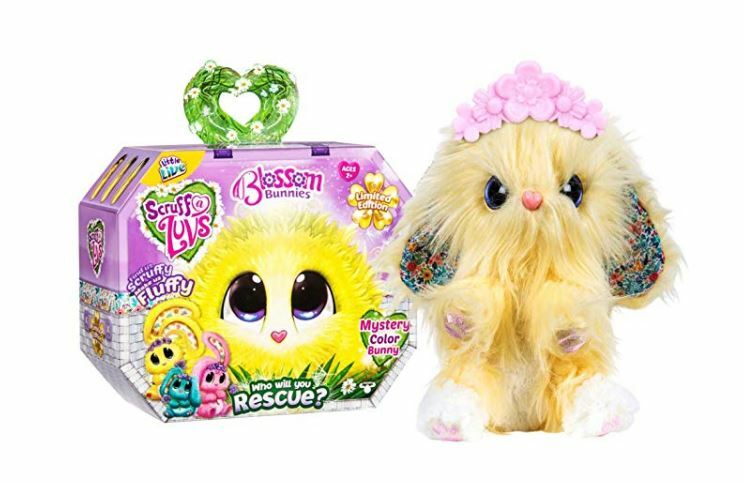 This Little Live Scruff-A-Luvs – Blossom Bunnies is on sale for $14.99 (Retail $19.99). -Wash them, dry them, brush them and watch them transform into a happy little bunny! -Just like real pets, scruff-a-luv love to be washed and groomed. The more time you spend caring for them, the cuter they become. -Each limited edition Blossom bunny scruff-a-luv comes with a brush and a flower crown. -Each scruff-a-luv comes with an Adoption Certificate. -Adopt all 3 Blossom bunnies. Fill out their Adoption Certificate and in return, they will be your FFF, furry friend forever & live happily ever after!